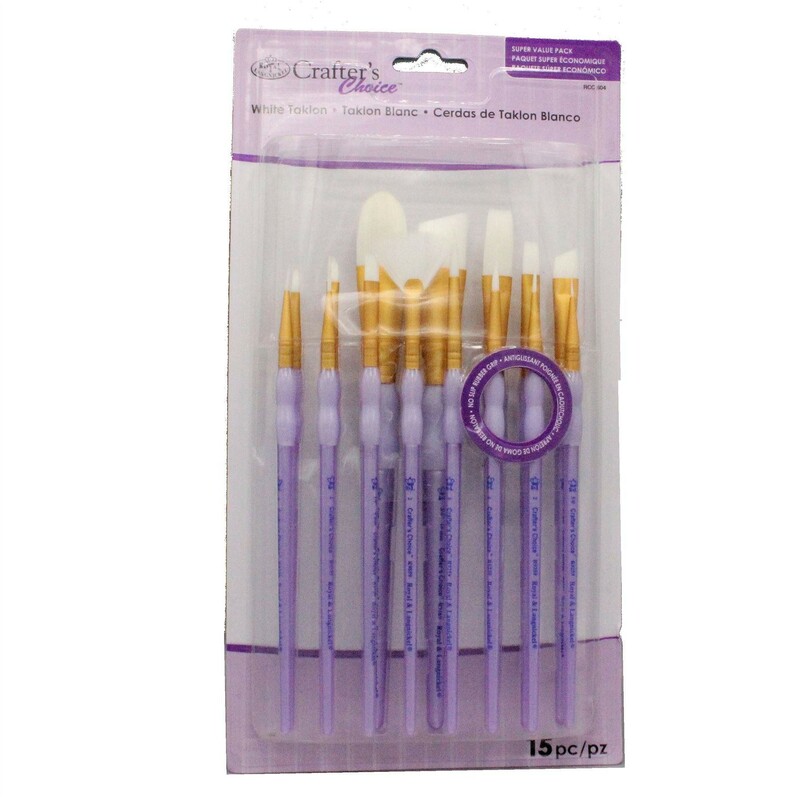 Royal & Langnickel Super Value Sets. 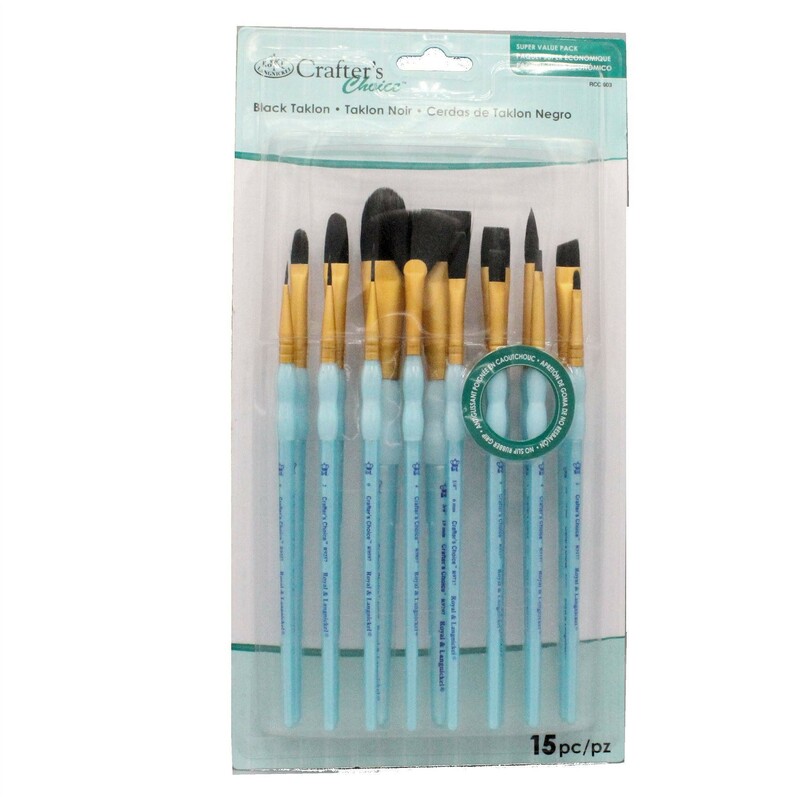 These sets have a selection of 15 brushes from the crafters choice range. Each has a soft grip handle. RCC-602: 15pc Brown Taklon. Shader, Angular, Filbert, Round, Liner, Wash, Fan, Oval Wash, Flat. 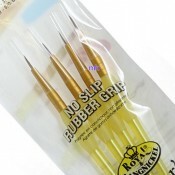 Ideal for Acrylic, Stains, Varnishes, & Finishes. RCC-603: 15pc Black Taklon. Contains: Shader, Angular, Filbert, Round, Liner, Wash, Fan, Oval Wash, Flat. 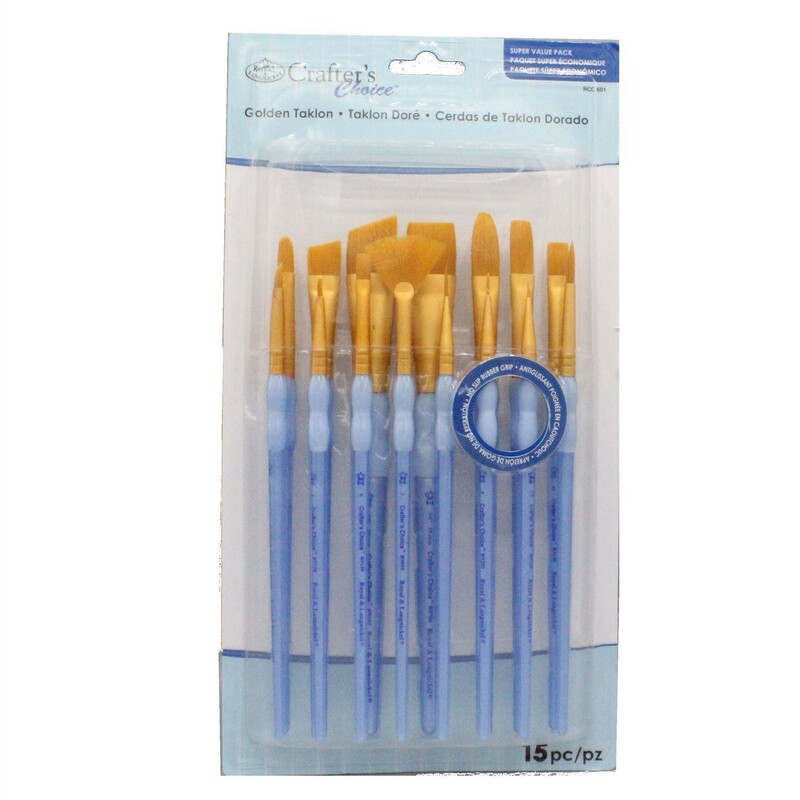 Ideal for Acylics, Watercolours, Oils, Temperas & Glazes. RCC-604: 15pc White Taklon. Contains: Shader, Angular, Filbert, Round, Liner, Wash, Fan, Oval Wash, Flat. 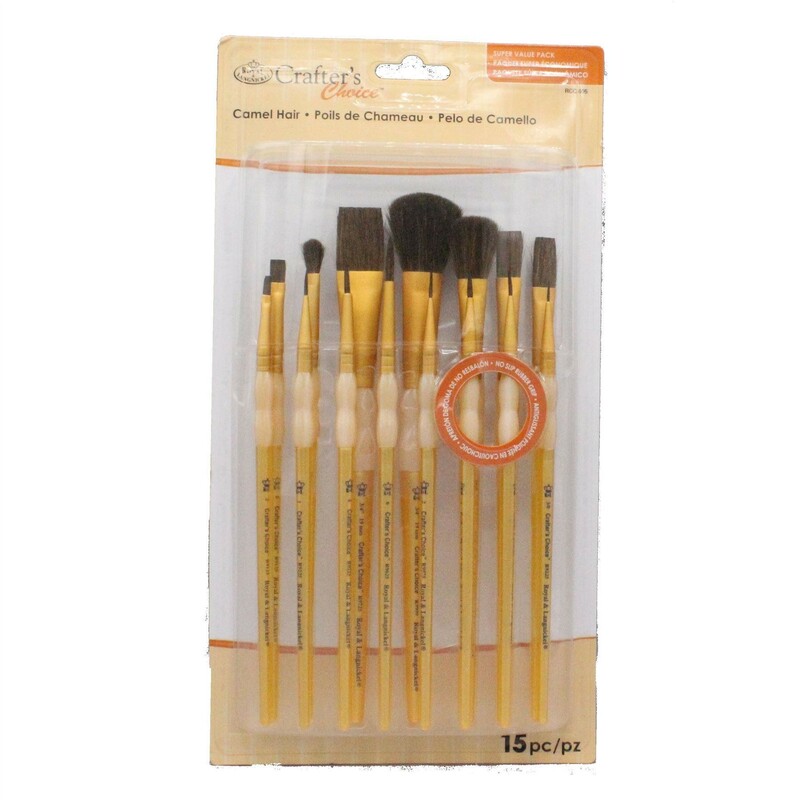 Ideal for Acrylic, Watercolours, Oil, Temperas, Enamels, Fabric Dyes & fabric Paints. RCC-605: 15pc Camel Hair. Contains: Shader, Flat, Round, Liner, Mop. 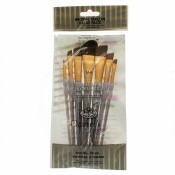 Ideal Watercolour, Acrylics, Oils Temperas, Enamels & Stains. RCC-606: 15pc Golden Taklon. 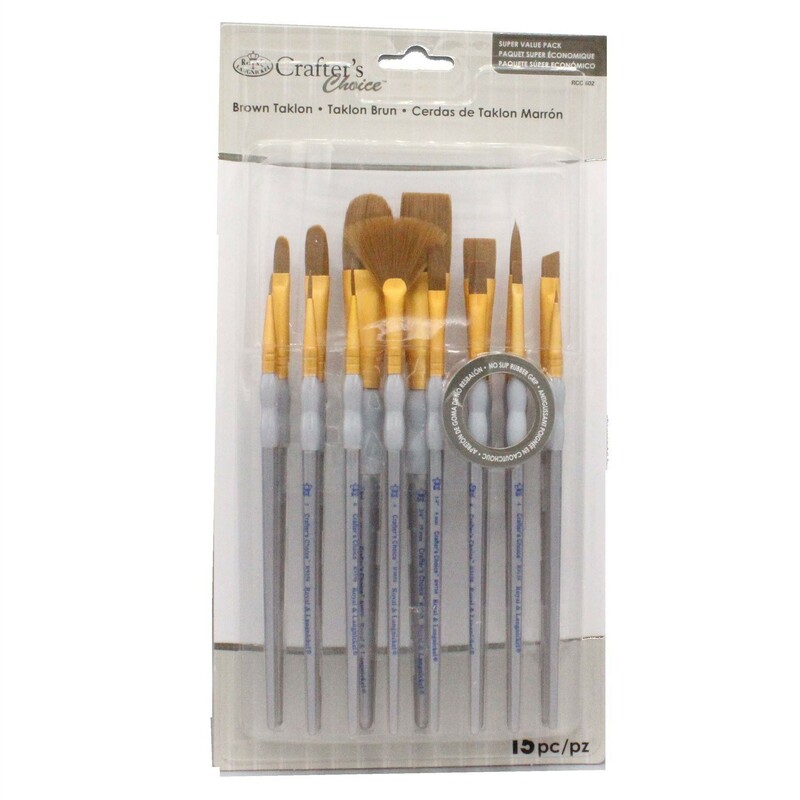 Contains: Stippler, Monogram, Shader,Angular, Filbert, Round, Dagger, Liner, Comb, Fan. 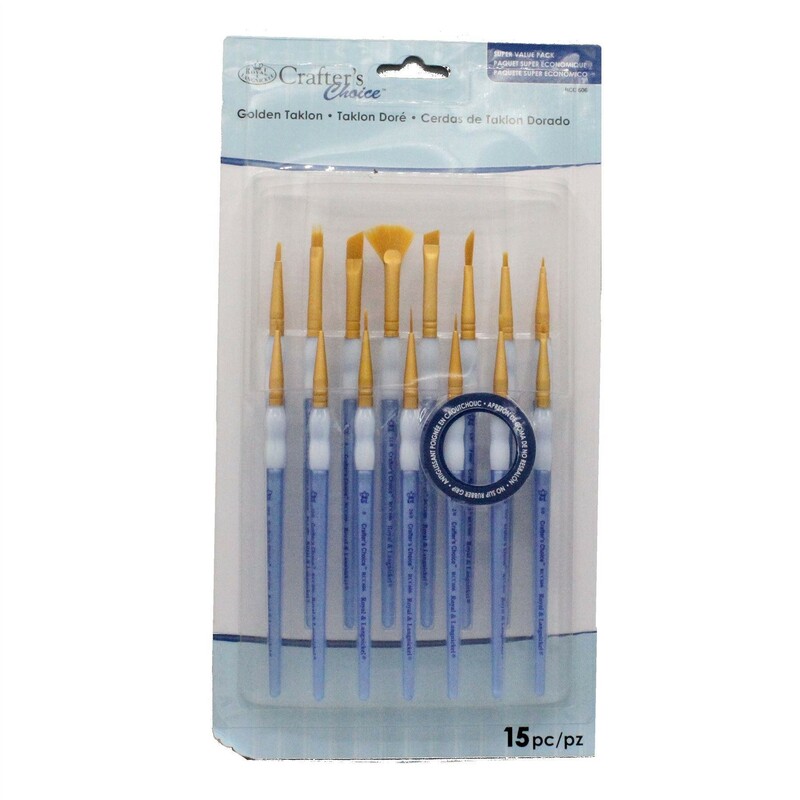 Ideal for Acrylic, Watercolours, Oils, Temperas, & Glazes. Buy 2 get 3rd free. 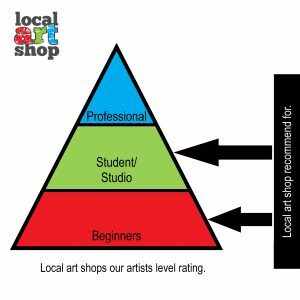 Customers must ensure that they have added all three items to their shopping baskets to qualify for discount - cheapest item is free, mix and match any items that appear in the Buy 2 get 3rd free section.